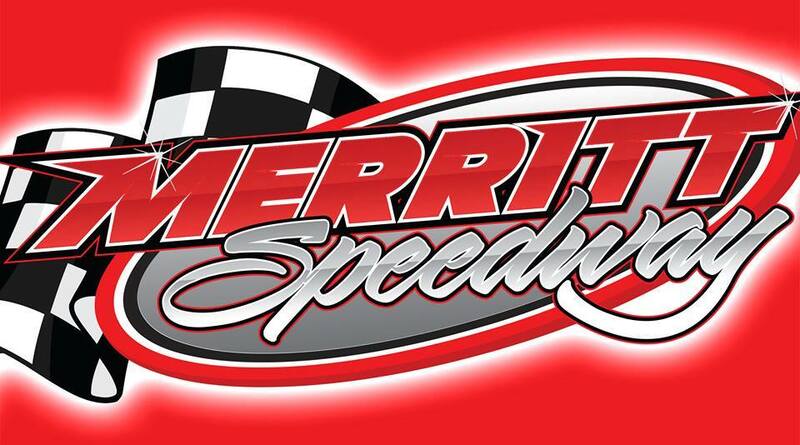 ERIE, MI (January 30, 2018) – Merritt Speedway has announced that Engine Pro Sprints On Dirt presented by ARP will return to Merritt Speedway on Saturday, August 25. Sprints On Dirt, in its first year of competition, 1980, raced at Merritt Speedway. The late Jerry Carmen won there on Sunday, August 3. The speedway has been a regular stop throughout most of SOD’s history since then. Britton, Michigan’s Dan McCarron has found Merritt Speedway to be one of his favorite tracks. He drove to his second win at the speedway last August. McCarron was the class of the field as he took the lead on lap nine and fought off all challengers to win over 2017 SOD champion Steve Irwin and Ryan Ruhl. “Michigan’s Premier Dirt Track” erected new aluminum bleachers and impressive Musco lighting a year ago, making the speedway a real showplace. New clay helped make 2017 SOD races among the best ever at the speedway. Check out Merritt Speedway at www.merrittspeedwaymi.com and on Facebook at www.facebook.com/MerrittSpeedwayMI. To learn more about Engine Pro, go to www.enginepro.com. For more information about ARP, go to www.arp-bolts.com. Follow SOD at www.sprintsondirt.com and on Facebook at www.facebook.com/sprintsondirt. SOD returns to Tri-City Motor Speedway in 2018! ERIE, MI (January 25, 2018) – Engine Pro Sprints On Dirt presented by ARP is excited to announce that its racers will do battle at Tri-City Motor Speedway, Auburn, Michigan, on Friday, June 22 for the first time since 2015. Tri-City Motor Speedway opened as a 1/4 mile dirt track in 1947. A ½ mile paved track with a very unique, five-straightaway configuration was built in 1967. The economy hit the speedway hard, and it closed in 2004. Steve Puvalowski purchased the speedway in 2009 , and Tri-City Motor Speedway reopened as a 3/8 mile dirt track on June 17, 2011. Under Puvalowski’s ownership, TCMS has become a fan favorite. It is recognized for its emphasis on family-focused entertainment and efficiently run race programs. Visit the Tri-City Motor Speedway website at www.tricityracetrack.com and its Facebook page at www.facebook.com/tricitymotorspeedway. Check out Engine Pro online at www.enginepro.com and ARP at www.arp-bolts.com. Go to www.sprintsondirt.com for rules, schedule information, member forms, and other information and follow SOD on Facebook at www.facebook.com/sprintsondirt. ERIE, MI (January 21, 2018) – The King is back! Engine Pro Sprints on Dirt presented by ARP has announced that King Engine Bearing has returned as the title sponsor of the King of Michigan to be contested at Hartford Speedway once again this season. 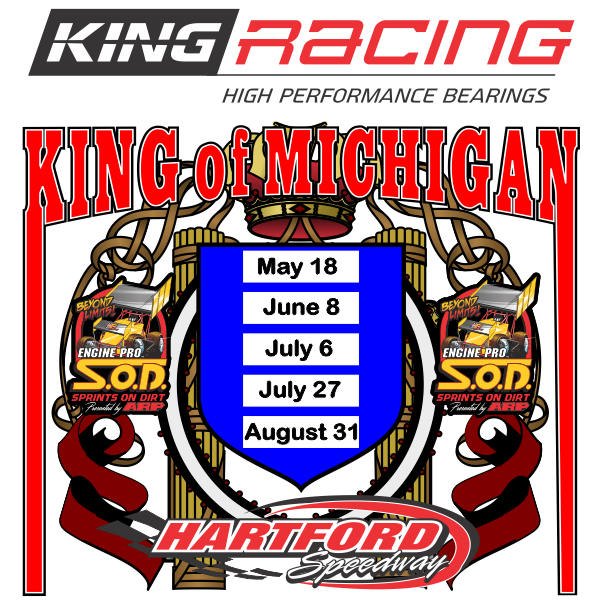 After several years as a premier event at Hartford Speedway, the King of Michigan became a four-race series under King Engine Bearing’s sponsorship last year. This year, with King Engine Bearings support, the series has expanded to five races. The KoM opens on May 8, followed by June 8, July 6, July 27, and the finale on August 31. Hartford owner Tim Dibble’s reconfiguration of the track, the expansion of the KoM to a series, and King Engine Bearings backing, proved to be an unbeatable combination last year. The 2017 KoM races drew Hartford’s largest crowds and SOD’s highest car counts. Chad Blonde was the one to beat in last year’s KoM, winning the first three races including a 5 minute and 25 second, non-stop feature on August 11th. Ryan Ruhl, a previous, single-race KoM winner, won the KoM finale. Blonde won the KoM points championship over Steve Irwin (2001 & 2017 SOD champion), Gregg Dalman (2015 SOD champion), and Thomas Schinderle (2017 SOD Series Rookie of the Year). The 2018 KoM Champion will be crowned at the series finale on August 31. The champion will have a guaranteed starting spot in the Engine Pro Sprints On Dirt presented by ARP Mike Olrich Memorial Race at Crystal Motor Speedway on September 1st. The King Engine Bearings King of Michigan will pay a point fund to the top five in KoM points at the 2018 Awards Banquet. For more information about King Engine Bearings, go to www.kingbearings.com. Check out Hartford Speedway at www.hartfordspeedway.net. Meet Engine Pro at www.enginepro.com and ARP at www.arp-bolts.com. Follow SOD at www.sprintsondirt.com and on Facebook at www.facebook.com/sprintsondirt. ERIE, MI (January 19, 2018) – It may be frigid outside, but things are warming up in the Engine Pro Sprints On Dirt presented by ARP office as the 2018 season takes shape. Sponsorships are being renewed and race date contracts are being signed as SOD works to complete preparation for the 2018 schedule. Additional dates are under consideration and will be announced when finalized. SOD’s numerous promotional and contingency programs are being finalized for 2018. The fast qualifier (Fast Master) in each heat, heat race top finishers, and the random draw (Lucky Dog) winners will receive cash awards. The crew chief and sportsman of the year will receive cash awards at the 2018 awards banquet. Other promotional and contingency programs are being worked on also. 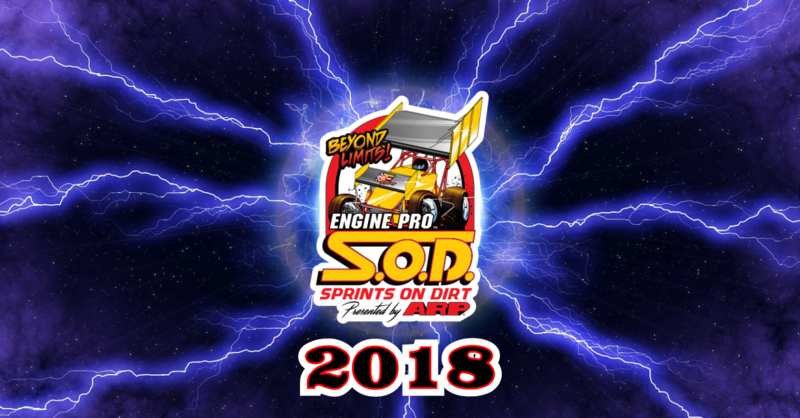 Engine Pro (enginepro.com) and ARP (www.arp-bolts.com) continue their long-time partnership with Sprints On Dirt as title sponsor partners once again. Hoosier Racing Tire (hoosiertire.com) and Hoosier Tire Midwest (www.racetires.com)continue as major sponsor partners. Engler Machine and Tool, Inc. (englermachine.com) returns as a primary heat race sponsor partner. RockAuto.com (www.RockAuto.com)also returns as a primary heat race sponsor partner. Lane Automotive (laneautomotive.com) is returning as Fast Masters co-sponsor. MSD Ignition (msdperformance.com/brands/msd) is returning as Fast Masters co-sponsor. The Perfit Corporation (engineproparts.com) will once again sponsor the Lucky Dog Award. XYZ Machining, Inc. (goo.gl/vUNns4) will recognize the Crew Chief of the Year. XYZ Machining, Inc. will also recognize the Sportsman of the Year. Hoosier Racing Tire will once again provide the SOD spec tires that have proven to equalize competition among various engine sizes and configurations and provide exciting side by side racing. The tires, utilized since the inaugural 2016 season of the SOD “beyond limits” format will remain unchanged through the 2018 and 2019 seasons. Watch for more 2018 updates at www.facebook.com/sprintsondirt.